Function composition is one the key features (among others) of functional programming. 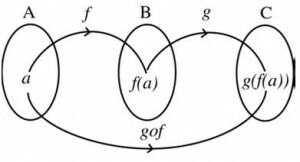 Programming languages that offer higher order functions as a feature can potentially use function composition. But, still, programmers need to be aware of some key concepts to successfully apply this pattern in our code. Obviously in this case it would have been easier just to multiply x by 6 inside sixtimes, but let me continue with this dumb example just to get to the concept.